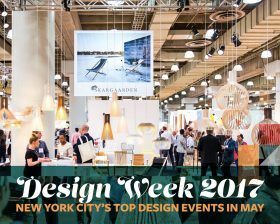 NYCxDesign 2017, New York City’s official turn to celebrate all things design, hits town from May 3 – May 24. NYC is among the world’s design capitals and home to more designers than any other U.S. metro area. NYCxDesign spotlights the city’s diverse design community and its contributions to our economy and everyday life, and increases awareness of and appreciation for design with a collaborative mix of cultural, professional, educational and commercial offerings. This year’s celebration is the longest-running one to date. You can head in any direction and you’ll stumble into a design-related event, but we’ve compiled a guide to a few of the top collaborative efforts and highlighted some of our picks. 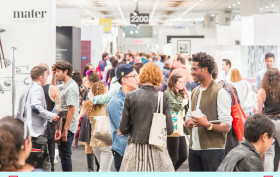 NYCxDESIGN, New York City’s official celebration of all things design, hits town from May 8–19, 2015. Home to more designers than any other US metro area, NYC is one of the world’s design capitals. Now in its third year, NYCxDESIGN spotlights the city’s diverse design community and its contributions to our economy and everyday life and increases awareness of and appreciation for design with a collaborative mix of cultural and commercial offerings. The seemingly endless program lineup offers exhibitions, installations, trade shows, talks, launches, open studios and receptions all across the city to celebrate the efforts of everyone from students to stars of the local and international design community. This year will see hundreds of events covering topics from graphic design to architecture, technology and urban design to fashion and product design, interiors to landscape, furniture to design thinking and more. It will be hard to head in any direction and not stumble into a design-related event, but we’ve compiled a guide to a few of the top collaborative efforts and highlighted some of our picks. Boo! The long Memorial Day weekend and its endless picnics are over. 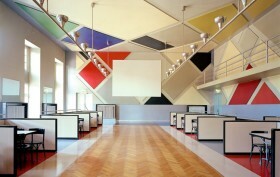 But you can still celebrate the short work week with all things arty! Indulge in your love of film — from the silent era to tomorrow’s documentary stars — or channel your inner entrepreneur at a panel on how to price your own designs. Also be sure to rest up for the weekend as artist studios open up across Brooklyn with Bushwick Open Studios and NARS Foundation. Just be sure to leave some time on your schedule to check out Bushwick’s first art fair, the NEWD Art Fair!